This hard-hitting webinar, co-hosted by ICE NI and Lean Construction Ireland, presentation will focus on the findings of two Independent Inquiries of industry-wide significance which were established to address major issues of building quality discovered in a range of recently constructed public buildings in Scotland. 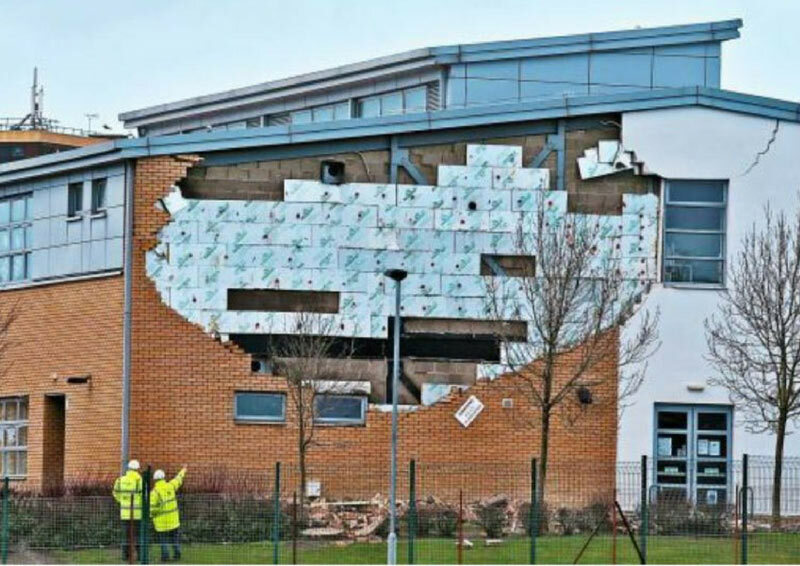 The first of these, the ‘Independent Inquiry into the Construction of Edinburgh Schools’ published in February 2017, was established after the collapse of a wall at Oxgangs Primary School in Edinburgh and the subsequent enforced closure of a further 16 Edinburgh schools requiring the immediate relocation of over 8,000 pupils. Whilst the collapse of the wall was the starting point, the Report of the Inquiry concluded that the quality problems leading to the failure of the wall were much wider, were repeated in projects across Scotland and were unlikely to be limited to Scotland. The second Inquiry, published in April 2018, addressed widespread problems in the construction of a major Leisure and Events Centre built for the Dumfries and Galloway Council which required it to be closed after only six years of operation and virtually rebuilt. The presentation will be delivered by NI architect Professor John Cole who chaired both these Inquiries and wrote the reports of the Inquiries. These reports have led to much wider investigations into the quality and safety of recent buildings in Scotland and further afield, and to the Scottish Government initiating a cross-sectoral review of how public-sector construction projects are managed, procured, designed and constructed in Scotland. John will explain how the reports’ findings have identified current trends and practices in the regulation, the structural organisation, procurement, design, management, supervision and inspection of construction projects that are impacting on the quality and safety of buildings being delivered by the construction industry. He will also discuss his recommendations on how to address these issues. John Cole is an independent consultant, acting primarily as a strategic client adviser on a range of major international public-sector infrastructure projects. One of his current roles on major health projects is as Board Member and Chair of the Design Committee for the National Paediatric Hospital Development Board in Ireland. In relation to non-health work, he is currently an independent member of the development and project boards for both a major educational campus and a new sports stadium. Prior to his retirement as a senior civil servant in 2013, he held the positions of Deputy Permanent Secretary in the Department of Health, Social Services and Public Safety in Northern Ireland in addition to Chief Estates Officer and Head of the Health Estates Investment Group. He has a breadth of experience that includes serving as a member for the RIBA Council and acting as chair of both the Continuous Professional Development and Procurement Committees at the RIBA. John was previously Chairman of the European Health Property Network which had membership from a wide range of European countries. He is a past-president of the Royal Society of Ulster Architects and was recently elected as an Honorary Fellow of the Royal Incorporation of Architects in Scotland. In 2014 he was appointed as an Honorary Professor in the School of Planning, Architecture and Civil Engineering at the Queen’s University of Belfast. In 2013 he was appointed a Commander of the British Empire (CBE) for his contribution to the development of health infrastructure.